The Isle of Eriska Hotel, Spa & Island is offering guests a unique opportunity to try out its exclusive Hilltop Reserves over a three-night stay, before committing to a membership package. Located just two hours north of Glasgow, the 300-acre luxury private island is an oasis of peace and tranquillity. The Hilltop Reserves are secluded one-bedroom lodges which offer a unique way to experience the breath-taking beauty of the island. Currently there are two properties but a further four self-catering lodges are currently in development and will be ready by the beginning of May. The Isle of Eriska is offering this three-night taster stay, normally priced at £750, for just £500, on bookings made between March and June 2017, subject to availability. Membership packages are priced at £10,000 plus VAT for 70 nights across 10 years with no maintenance charges. Those taking up the limited offer to try before they buy, will receive a £500 discount on the full price of the membership package. The luxury one-bedroom lodges are set up high on the hillside and are completely separate from the main hotel. 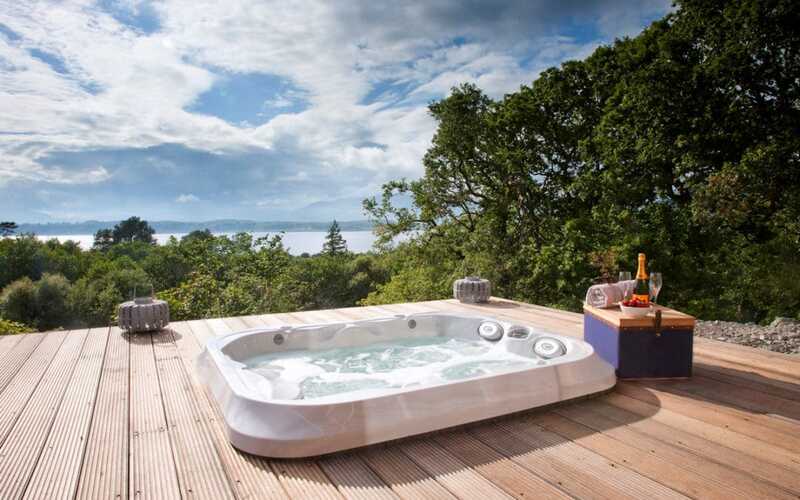 Both suites have their own private hot tub and boast spectacular views across Loch Creran, with the rugged Highlands as a dramatic backdrop. Guests are able to relax on the external decking, or enjoy the panoramic views from the comfort and warmth of their lodge, beside a wood-burning stove. The self-contained lodges come with high speed Wi-Fi, a state-of-the-art entertainment system, sumptuous interiors, slate and wooden flooring, their own heating and water system, luxury en-suite bedroom and a modern, fully-equipped kitchen. The island is a haven for local wildlife and boasts countless nature trails. Otter spotting on Eriska’s beautiful unspoiled beach is a popular activity for those wishing to blow out the cobwebs and spend time relaxing outdoors. To take a break from cooking, guests can visit the hotel’s Michelin-star restaurant for fine dining or relax in the more laid back environment of the Deck Restaurant, both of which are just a pleasant ten-minute walk. For those looking to indulge in a spot of pampering and relaxation, Eriska’s highly trained therapists are on hand every day in the Stables Spa, offering a range of luxurious ESPA and organic Ishga seaweed treatments. The hotel’s indoor heated pool, sauna, steam room, jacuzzi and tennis courts are also available for guests staying in the Hilltop Reserves as is its 9-hole golf course. Easily accessible from Oban, Connel Airport, Glasgow and Edinburgh, guests can arrive by car, boat, or even aboard a private sea plane from Glasgow Airport.